This course, Music Theory: Musical Form, will teach you about the six models in classical music from sonata-allegro to rondo form. You will learn how each model was formed and the difference between each of them. You will also learn the features of verse and chorus and how the same material can return at certain points in a musical piece. The course will also guide you through the four functional types that will show up in a sonata-allegro form. This course will first introduce you to the six models in classical music which are the ternary form, sonata-allegro form, theme and variations, rondo, fugue, and ostinato. You will learn how they were developed at various times in the history of music. You will learn that theme and variations are the most established forms, and that sonata-allegro is more recent but is the most complex and the most difficult of all of these forms. Next, you will study the four functional types of music that sonata allegro movement consist, which includes thematic, transitional, cadential, and developmental. You will also study the concept behind Rondo, which is a crucial form of music that arises again and again in any musician's development. The course will then teach you why it is important to include a coda in your music to tell your listeners that your music has reached an end. You will also be guided through the concepts behind Ostinato. 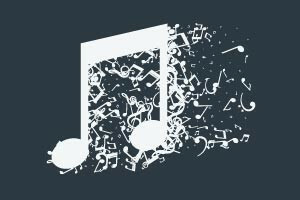 This free online music course will be very helpful for strengthening your aural skills and your understanding of basic music rules. It is the third in a series of music theory courses offered by Alison and comes after Music Theory: Instruments and Rhythm and Music Theory: Melody and Harmony. If you have finished studying the first two courses, now is the perfect time to take this course. Check out the course today, and boost your music skills in no time. List different sorts of genres. List the six models in music. Differentiate between the four functional types that will show up in sonata-allegro form. Describe the difference between rondo and ostinato. Explain what a rondo is.